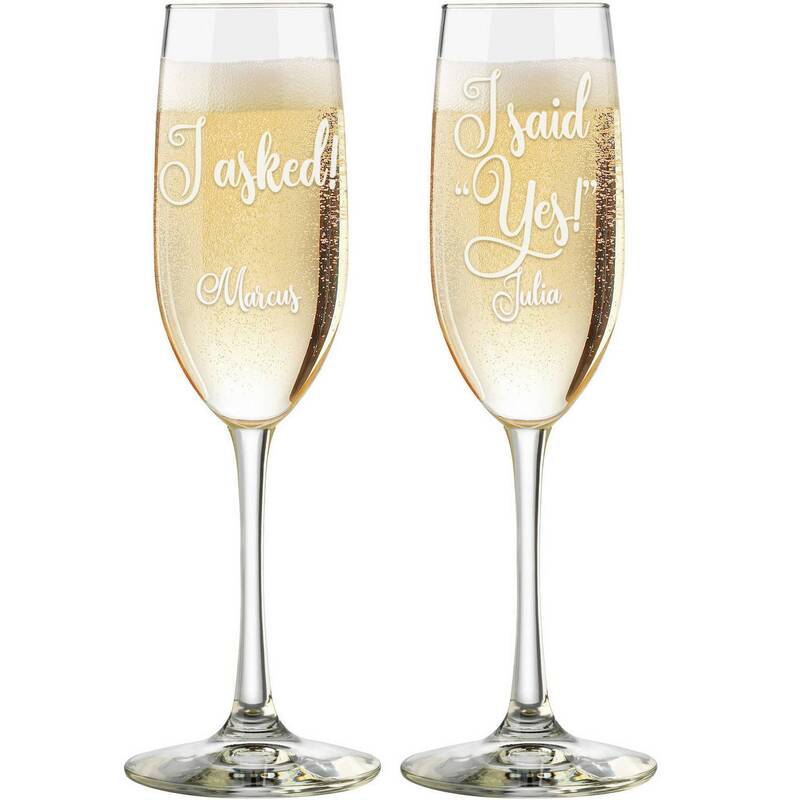 our elegantly simplistic Engaged Personalized Toasting Flutes are the perfect gift for the just engaged couple! Smooth hand-blown glass gives shape to this timeless set that work perfectly as wedding favors and as treasured keepsakes. 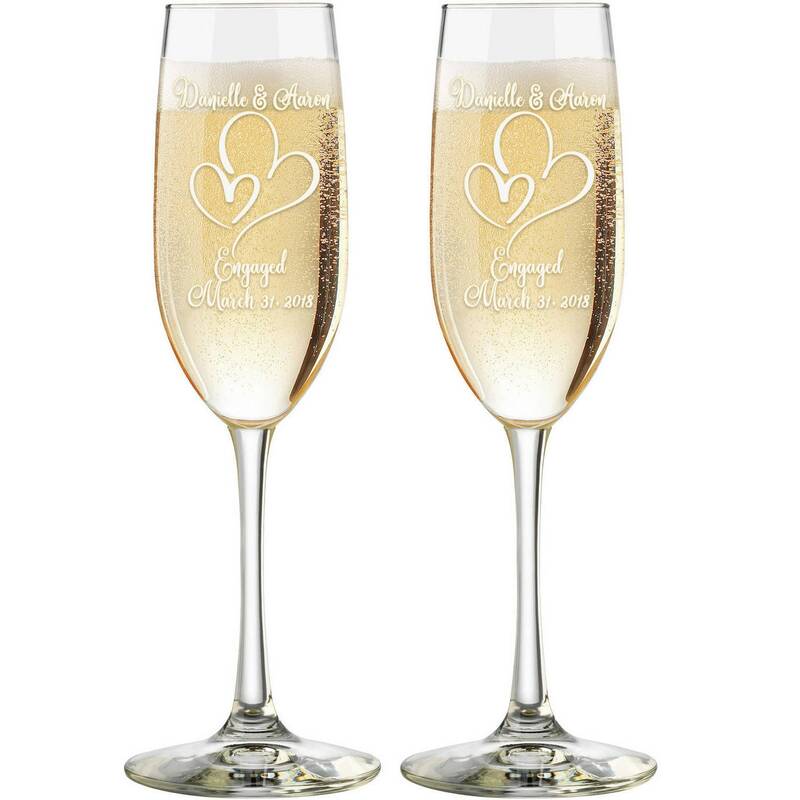 These Champagne Toasting flutes are the perfect gift for the wedding couple as they make a great keepsake memento in honor of the big day.